The Italian National reference center for animal-assisted intervention (NRC AAI) has been invited to give a plenary presentation during the III Simpósio Internacional de Atividade, Terapia e Educação Assistida por Animais (SINTAA) held in Rio de Janeiro from the 7th to the 9th of October, 2015. The presentation, entitled “Animal assisted interventions: The Italian reality and the role of the National reference centre established by the Ministry of Health” has enlightened the role of the NRC AAI in Italy and the commitment of the Italian Ministry of Health. 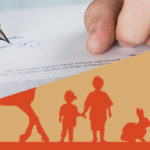 This commitment has led first to the creation of the NRC and afterwards to the approval of the National Guidelines for Animal Assisted Interventions. These Guidelines are aimed at standardizing the application criteria and the standards of quality of AAI throughout Italy. 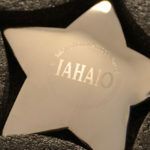 The NRC AAI has also partecipated to the satellite event “A transversalidade das IAAs nas diferentes culturas” together with Vinícius Ribeiro (REATAA Brasil) and Rebecca Johnson, president of IAHAIO. 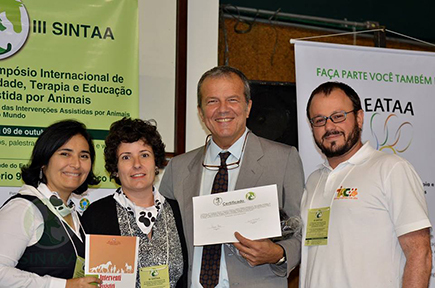 The Italian National Guidelines for Animal Assisted Interventions have attracted much interest between the participants of the Symposium and the representatives of Brazilian associations have appreciated their formulation.